The Department of Adult and Pediatric Otolaryngology at the University Hospital Muenster offers the full range of services in this field and specializes in the diagnostics and treatment of diseases of the neck, nose, ears and skull base. The doctors have in their arsenal the very latest diagnostic methods, as well as effective types of conservative and surgical therapy. The medical team of doctors has rich experience and works in accordance with the current medical standards.The department conducts many clinical trials, which is an advantage for patients. The department treats more than 8,000 outpatients and performs about 4,000 surgical procedures annually. The department is headed by Prof. Dr. med. Claudia Rudack. 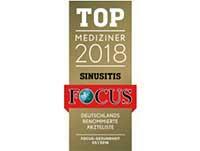 According to the Focus magazine, the specialist ranks among the top German doctors specializing in sinusitis treatment! 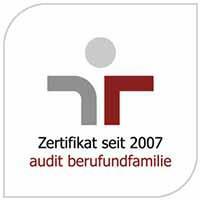 The department is part of the Cochlear Implant Center Münsterland, which has an excellent reputation in the treatment of hearing disorders in infants, children, and adults with cochlear implants (implantable auditory prostheses, which allow to restore hearing in hearing loss). Particular importance is also attached to the subsequent rehabilitation of hearing and speech in children, especially in children with multiple disorders, and in adults. For this purpose, all the necessary specialists from related fields of the university hospital and external partners are involved. Another department’s key focus is the treatment of head and neck malignant tumors. 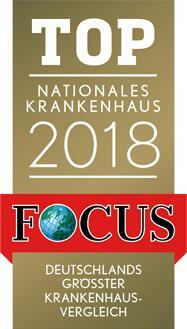 The treatment is carried out in close cooperation with the Comprehensive Cancer Center Muenster, which allows the doctors to offer the very latest therapeutic opptions and an interdisciplinary approach for each patient. The department is one of the leading specialized medical facilities for the treatment of head and neck tumors (certified by the German Cancer Society). The department's surgeons carry out about 300 surgical interventions for tumor removal annually. Some of these interventions are reconstructive, which also helps to achieve a very good functional and aesthetic result. An integral part of the department's treatment concept is long-term and thorough follow-up care for each patient. 12.1989 Diploma of Doctor of Medicine, Heinrich Heine University Duesseldorf. 1990 - 1991 Intern, Department of Otolaryngology, Krefeld Hospital. 1991 - 1997 Research Fellow, Department of Otolaryngology, University Hospital Duesseldorf. 1997 - 2000 Senior Physician in the Department of Adult and Pediatric Otolaryngology, University Hospital Muenster, establishment of Laboratory of Biochemical Cell Researches in the Department of Adult and Pediatric Otolaryngology at the University Hospital Muenster. 2000 Habilitation, University of Muenster. Subject: "Neutrophil chemotaxis in nasal polyposis". 11.2000 Leading and Managing Senior Physician in the Department of Adult and Pediatric Otolaryngology at the University Hospital Muenster. 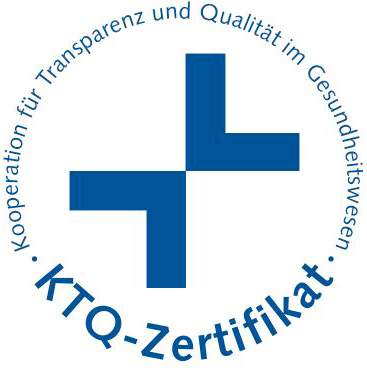 German Society of Otolaryngology, Head and Neck Surgery. Chairman of the Working Group on Allergology, Clinical Immunology and Environmental Medicine of the German Society of Otolaryngology, Head and Neck Surgery. 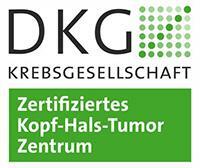 Working Group on Oncology, Head and Neck Tumors of the German Society of Otolaryngology, Head and Neck Surgery. Working Group on Plastic, Reconstructive and Aesthetic Surgery of the German Society of Otolaryngology, Head and Neck Surgery. Working Group on Skull Base Surgery and Craniofacial Surgery of the German Society of Otolaryngology, Head and Neck Surgery. 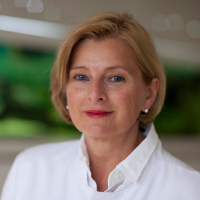 Board Member, Otolaryngology Section, European Academy of Allergy and Clinical Immunology. Middle ear surgery, cochlear implantation. Skull base and paranasal sinus surgery. Ear and nose plastic surgery. Surgical treatment of head and neck tumors (classical and laser techniques), including reconstruction with the help of free flaps and grafts. Surgical treatment of tracheal and laryngeal stenoses.